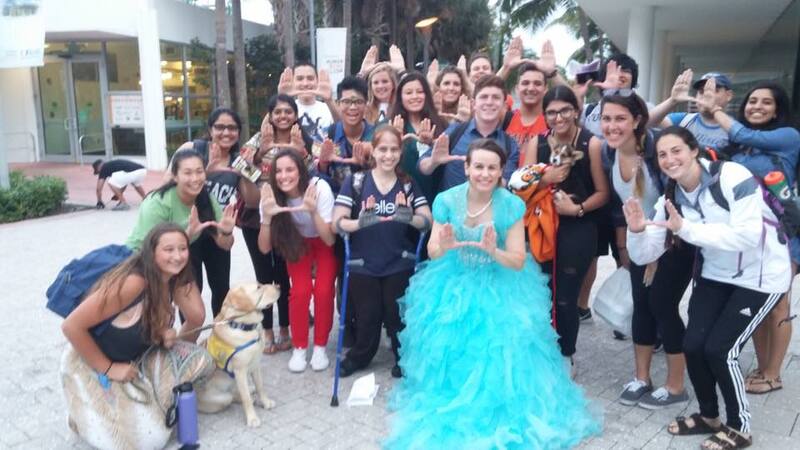 University of Miami student Gina Panarese was in Starbucks at the Shalala Student Center (SSC) on Thursday night, expecting a phone call from a staff member on the Ellen DeGeneres show. She had entered a contest by writing an essay about why she was the TV host’s biggest fan. Now, she was waiting for a followup interview. Instead, she saw Jeannie Klisiewicz, a familiar face on Ellen who surprises fans, running over to her in a blue ball gown and a wig. Panarese, a junior from Long Island majoring in accounting and business law, “lost my mind” upon seeing Klisiewicz. Both ran to the back of the SSC, where Panarese received a video chat from Degeneres herself, telling her she had to compete in a challenge and put on as many items of clothing as possible in 30 seconds. Then the big thing happened: she won $20,000 and a brand new red Chevrolet Equinox. Panarese dropped onto the floor in happiness when she found out she had won a brand new car, then she got in the car and cried of happiness. Panarese’s friends were ecstatic over the winning prizes and that Panarese had the chance to see her idol. “It was amazing because I knew how much she really wanted this and is a huge fan of Ellen,” student Anika Batta said. Nidhi Patel, who is also a big fan of the show and a friend of Panarese’s, first saw Klisiewicz running into Starbucks and saw the entire event. Klisiewicz herself went through the same process Panarese did, entering numerous contests in 2008 to prove that she was Ellen’s biggest fan. When she finally got a response, however, her call from Ellen was much different. Klisiewicz was eventually hired by Ellen, and became an “invaluable” member of Ellen’s team, specializing in surprising fans the way she was surprised.